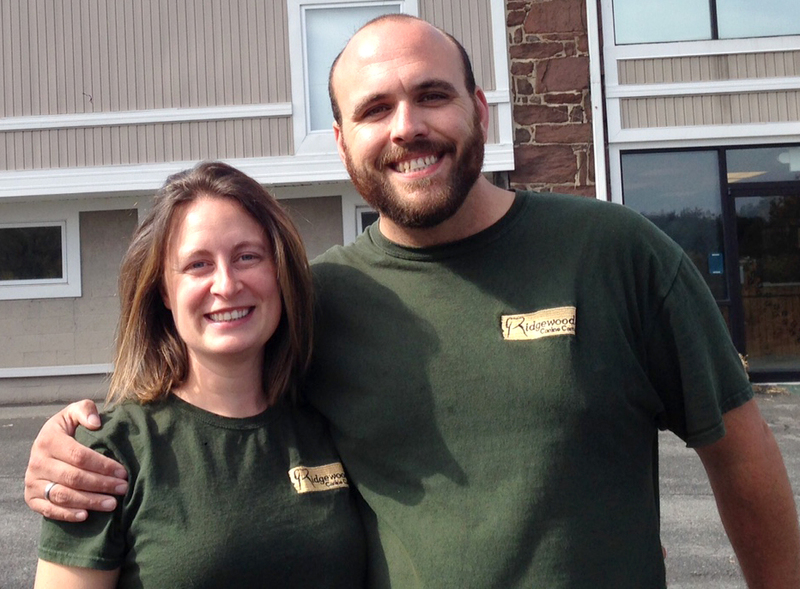 Ridgewood Canine Camp opened in May of 2012 and is proudly owned by Patrick & Stacie Engel. We are a licensed boarding kennel operating under the terms of the PA Dog Law and PA Department of Agriculture. I (Stacie) was inspired to open a doggie daycare shortly after adopting Barron, a 9-month old Black Mouth Cur. Barron had been abused and was very fearful of humans. Living in NYC at the time, we worked with trainers and behaviorists on how to best communicate with Barron. We found that Barron was the most comfortable when we visited the dog park. He was confident, happy, and relaxed. We visited the dog park twice a day for over two years, and I quickly became fascinated watching the dogs communicate with each other. After adopting another dog and fostering several, it became clear that we needed to get out of the city. I grew up in Chester County, PA, so the search began for the perfect location to turn my dog passion into a career. We could not have been more fortunate to find the old Ridgewood Farmstead property. The barn was originally built in 1810, so after some remodeling, Ridgewood Canine Camp now operates on two floors of the barn, with one of our staff living in the caretaker’s cottage on the property. The farmhouse next door is home to Ridgewood Winery, and is actually a whole separate business owned by Bill & Tracy Smith. At home, Barron is a happy, spry 11-year old and he shares our home with Sake (Boston Terrier), Peaches (Pitbull), and Oreo (Pitbull). We also have three human kids and are a foster family for the Animal Rescue League of Berks County. Safe to say we have a busy house at home and we wouldn’t trade it for the world! We are not currently hiring. We do keep applications on file, so feel free to send one in. Positions are part-time and duties include supervising groups of dogs, cleaning kennels (lots of cleaning! ), answering phones, and assisting customers. Individuals must be willing to help out with all aspects of the camp. Please email, fax, or mail in an application to be considered. Sat. & Sun. available by appointment.